The JCF has created a dynamic Tool Kit designed to make your life easier and advance your client relationships. 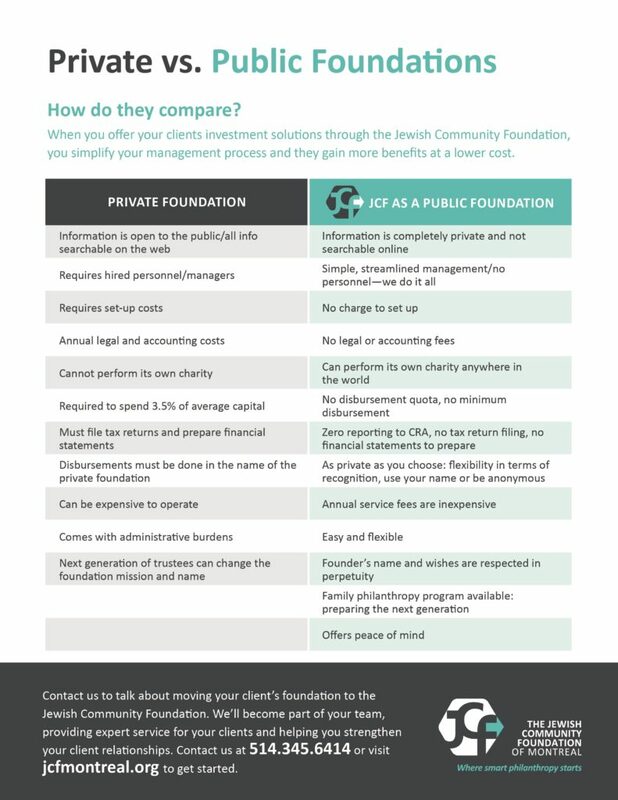 The JCF’s services enable your clients to achieve their charitable goals via a single source of service, and then benefit from efficient, tax-wise giving methods that save them money. Our Gift of Giving Tool Kit helps you make it happen. 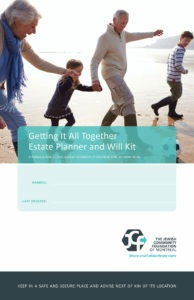 This Tool Kit includes brief videos, The Four Ways of Giving Corporate Brochure, Key articles on the pros and cons of a Private vs Public Foundation and a Estate Planner & Will Kit. 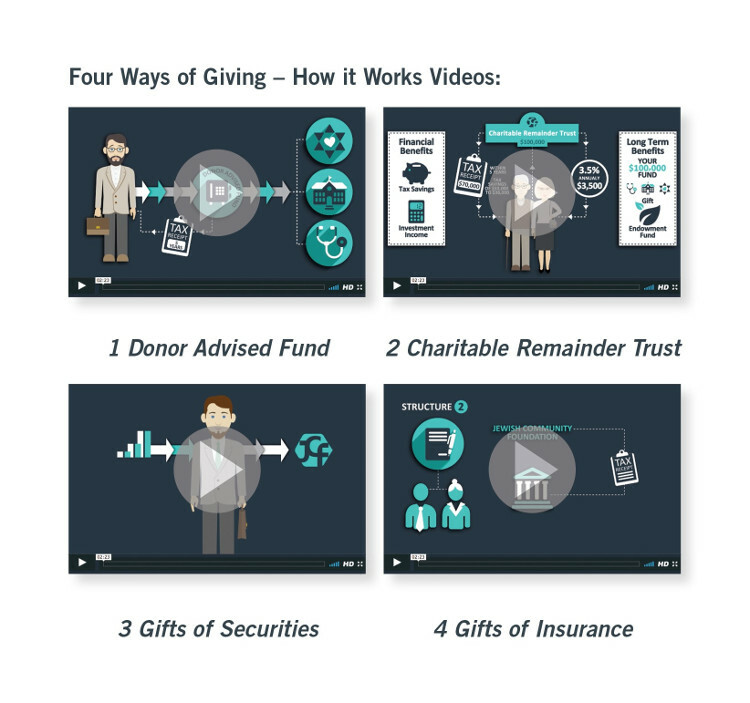 Each piece is a carefully crafted supportive material to help you present to your clients the personal and financial benefits of charitable giving. Now you can aid your clients in supporting the causes they care about—while cementing the relationship you already share.